Last night I bought a miniature frozen pizza. Today I ate it. It was horrible. Someone recommended I purchase good frozen pizza. If I’m going to get frozen pizza, I want it to taste terrible. I have no illusions. If I want real pizza, I’ll get real pizza. Frozen pizza should make me hate myself more than I normally do. I should regret each bite as I angrily and incessantly chew it down until it is just moist doughy mush in my mouth. 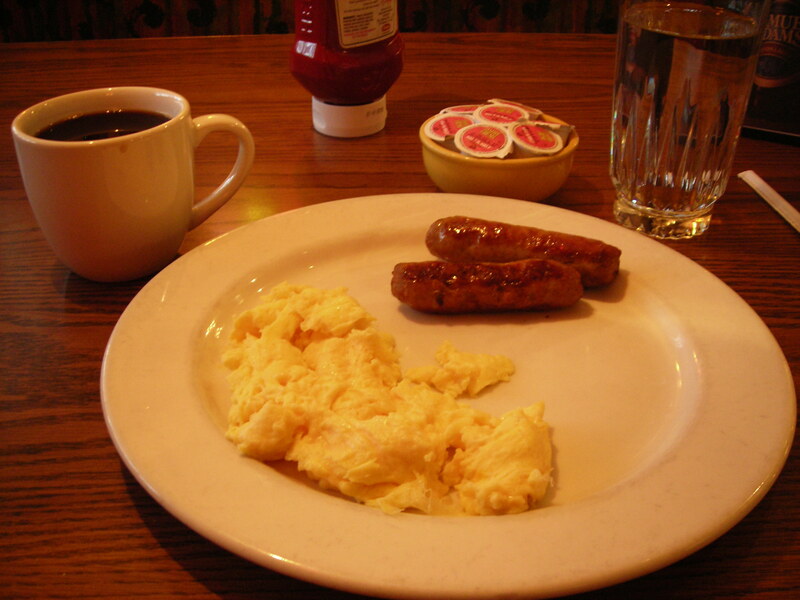 Here is a picture of a simple meal I enjoyed at a restaurant in OgdenLayton, UT.